KIBO is a screen-free robot kit for kids that lets 4- to 7-year-olds create, design, decorate and bring their own robot to life! KIBO is an easy and fun way to bring robotics and coding to your young learners and spark their interest in STEAM. Build. Art. Code. Play. KIBO is the screen-free robot kit for kids that lets 4- to 7-year-olds create, design, decorate and bring their own robot to life! KIBO is an easy and fun way to bring robotics and coding to your young learners and spark their interest in STEAM. When children code with KIBO they are learning invaluable skills that will lead them on the path for success in science, technology, engineering, art, and mathematics (STEAM) skills and future careers. As they learn all these skills, they will think it is just play! Based on 20 years of early child development research, this hands-on educational robot engages young students to learn STEAM concepts through play and creative self-expression. STEAM learning with KIBO is fun, imaginative and easy. Your youngest learners will playfully discover these concepts by coding with wooden building blocks, creating sequences, and learning design processes. 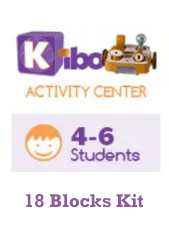 Used in 55 countries and tested and approved by thousands of children and their caregivers, KIBO has proven efficacy in helping kids learn STEAM, and getting them excited about it! 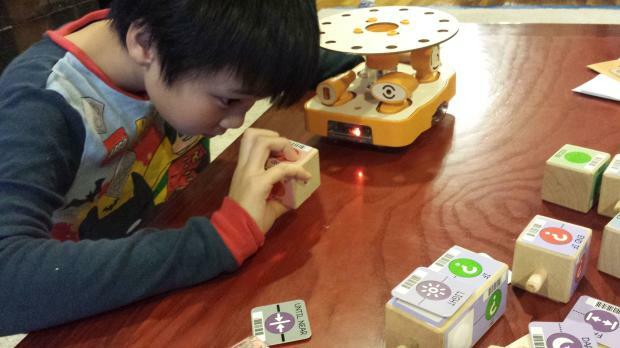 KIBO serves as an open platform designed for kids to imagine and create their own robot. Just turn it upside down. See the circuitry? Kids can visibly see that this is the KIBO “brain” and not magic. 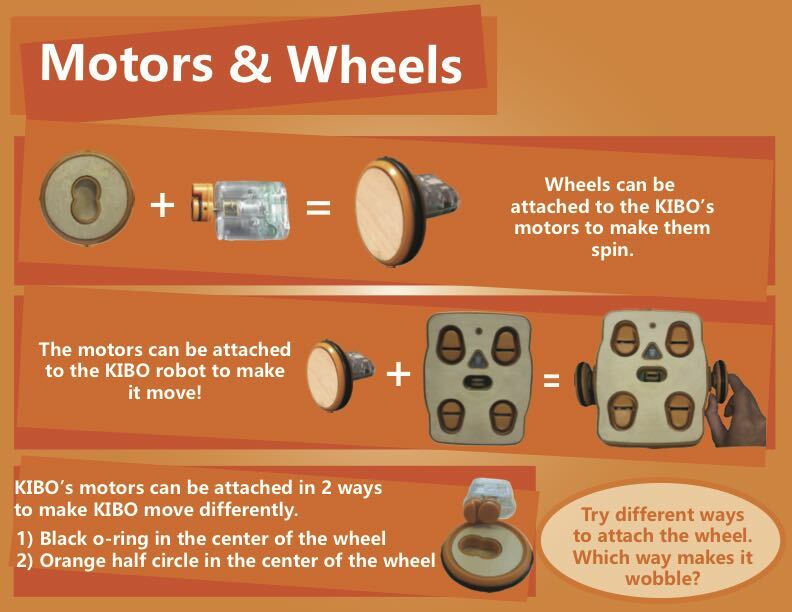 Just add the wheels with the motors and your KIBO is on the move! Which KIBO is Right for Me? 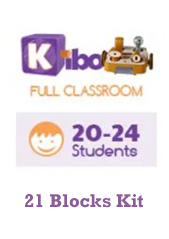 KIBO 18 & KIBO 21 are available in various Classroom Packages, which includes our Curriculum Materials. 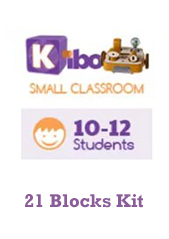 KIBO is available in 4 different robot kits. When you make the commitment to purchase KIBO for your young learners, we want to ensure you’re successful bringing robotics into your classroom. Browse the complete list of teaching materials and lesson plans. Our comprehensive set of curriculum materials supports you in every way. 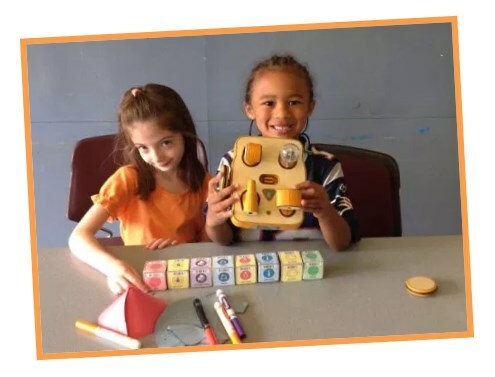 You’ll get easy to implement lesson plans and fun play-based activities to introduce KIBO and build students’ basic engineering and programming skills; but you’ll also get support in integrating robotics into your classroom with a wide range of cross-curricular connections to literacy, community, dance, science, and more! 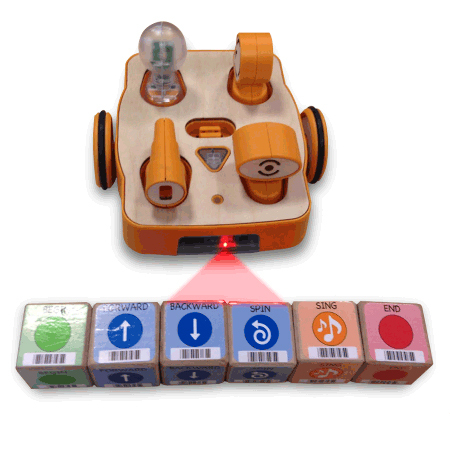 KIBO is a robot kit specifically designed for young children ages 4-7 years. It is different from any other kit out there because it appeals to both technically minded kids and those that connect more to arts and culture or physical activity. Young children learn by doing. Children build their own robot with KIBO, program it to do what they want, and decorate it. KIBO gives children the chance to make their ideas physical and tangible—exactly what their young minds and bodies need. And KIBO does all this without requiring screen time from PCs, tablets or smartphones. Provides mental growth and stability to kids between 4-7 of age. Introduces kids to robotics and computing. Blocks use repeat loops, conditional statements, and nesting statements as well. 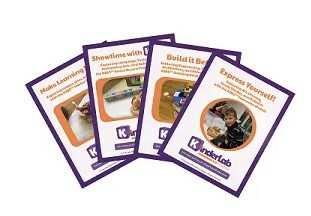 Kinder Labs came up with KIBO Intro Kit after years of research for finding effective ways to help kids learn coding from an early age. With this kit, your child gets to know about programming and how mobile robotics work. 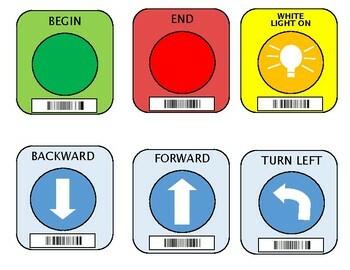 Also, they learn more about the inputs and outputs and how to use them for making a custom project for example. 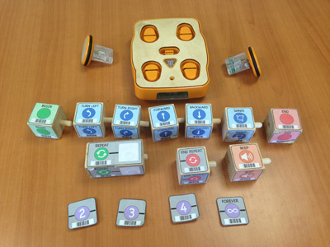 The following KIBO robot kit contains 10 programming blocks, 4 parameter cards, 2 motors and two wheels.It also includes cardboard teacher guide. It requires you to purchase four AA batteries (not included). It is also proven to be the most effective kit for children from age 4-7 but works well with kids from age 4-10 as well. KIBO, being a robotic kit involves two aspects. First one is hardware which is the robot itself. Other one is software which connects all the programming blocks and makes the robot move. It may sound complicated but KIBO is an easy DIY kit. We have included learning materials to better understand, wheels, motors, light output and all the other sensors. So you can be rest assured that your kid will have a great time with the KIBO kit. KIBO robot has an embedded scanner (built-in). 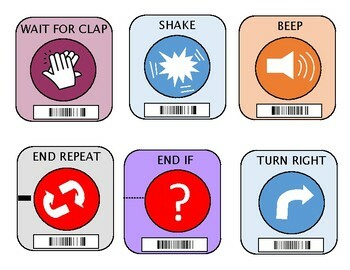 The scanner scans the bar codes of programming blocks and commands the robot based on the chosen programmed block. It’s important to note that for this age group, no touch screen-time is required. So you don’t need a computer and you don’t even need a tablet for it to work. We want it to be a joyful toy for creative learning and do not suggest hurting their eyes with tablets due to longer playtime of classes. And besides they are only kids, so we should avoid wrong habits and getting them exposed to a lot of screen time. After all, it is bad for their health as well. American Academy of Pediatrics second on with their recommendations for kids. How do we manage to instill cognitive and creative abilities in kids? KIBO blocks use repeat loops, conditional statements, and even nesting statements. So it can be simple but it’s flexible for advance users to solve more complex problems. This makes it an all in one choice for kids. THE ED TECH ROUND UP "The nice thing about KIBO, that many other similar robots don’t allow for, is that you can get incredibly complicated with the programming logic. This means that it will take significant time for students to work through all of the programming possibilities that KIBO offers, which is a huge advantage." KIBO - The Robotics Learning Tool for 4-7 year olds " I understood that KIBO was developed as a learning tool and not a “pretty” robot. The attachments are fantastic. They are visual and practical and provide a lot of opportunity for creative play." Q-1 Where can I find the complete parts list for each KIBO kit? 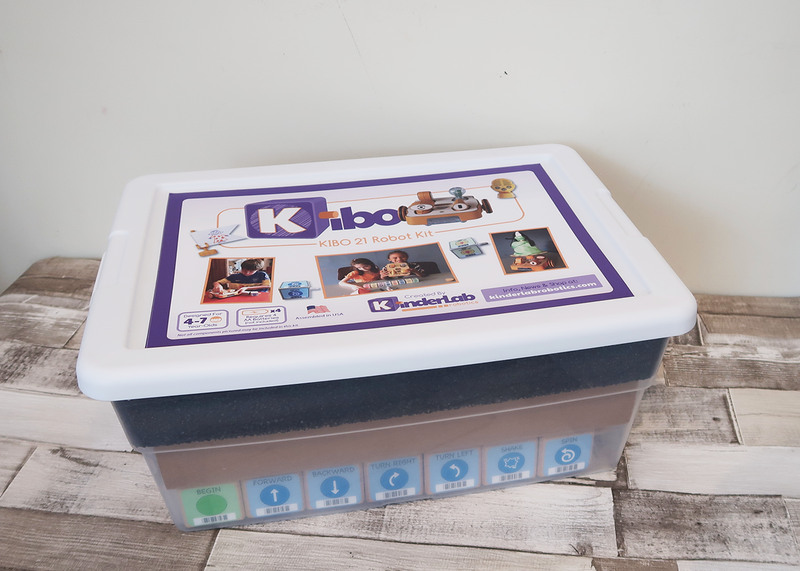 The complete contents of each KIBO kit can be found on Contents tab in the product listing page. Q-2 What is your warranty policy? Q-3 What is your return policy? Q-4 What is the main difference between the four different KIBO kits? Q-5 Can I buy more programming blocks a la carte? Q-6 I already bought a KIBO 10, can I now buy sensors a la carte? Q-7 I am a parent and I want to know what is the best way to start helping my child learn with KIBO in a fun way? Q-8 Do you offer professional development? Q-8 Can I get a sample KIBO for my classroom? Q-9 How do I get a grant for my school to buy KIBOs? Q-10 What kind of teaching materials do you have available? Q-11 Can you tell me more about your curriculum? Q-12 What are your recommendations for equipping a classroom with KIBOs? Q-13 Can I get a discount if I buy many KIBO kits? Q-14 How can I get Technical Support help?